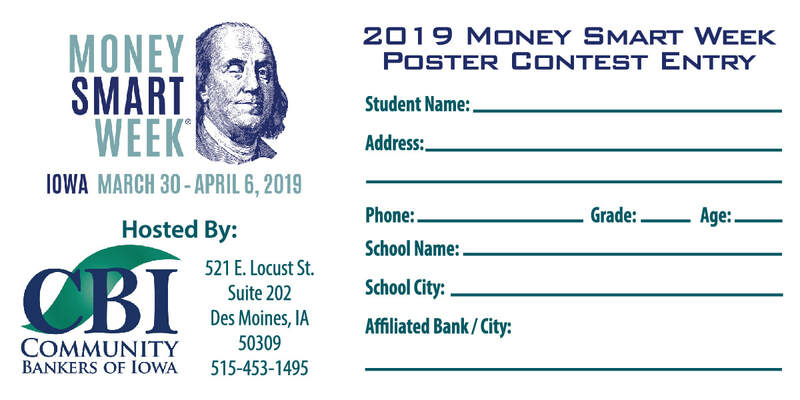 Download materials for the 2019 Money Smart Week Poster Contest here. To return without registering again, please bookmark this page. Click the images below to download items. These can be customized with your bank logo and info! ​Contact Krissy Lee for details.